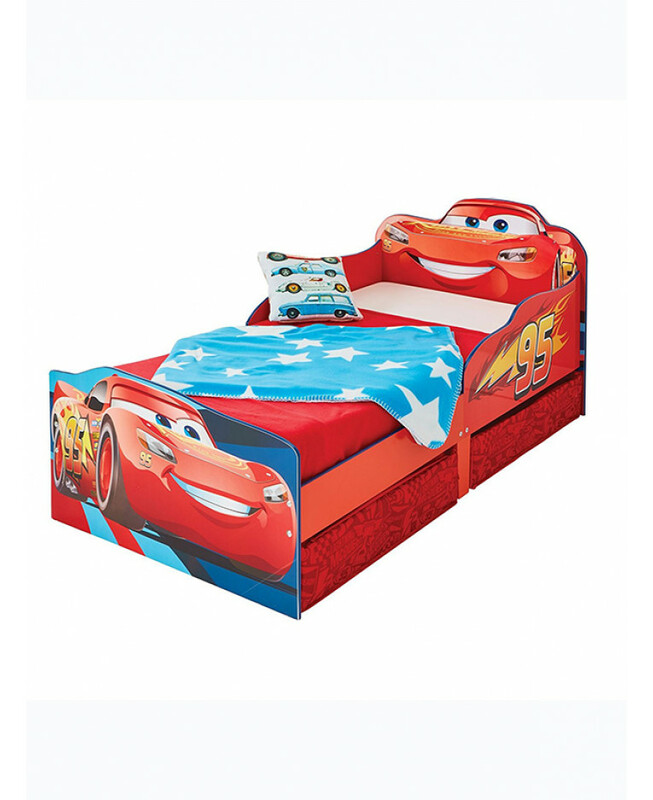 This stunning toddler bed is an ideal stop off on the journey from cot to a grown-up bed. 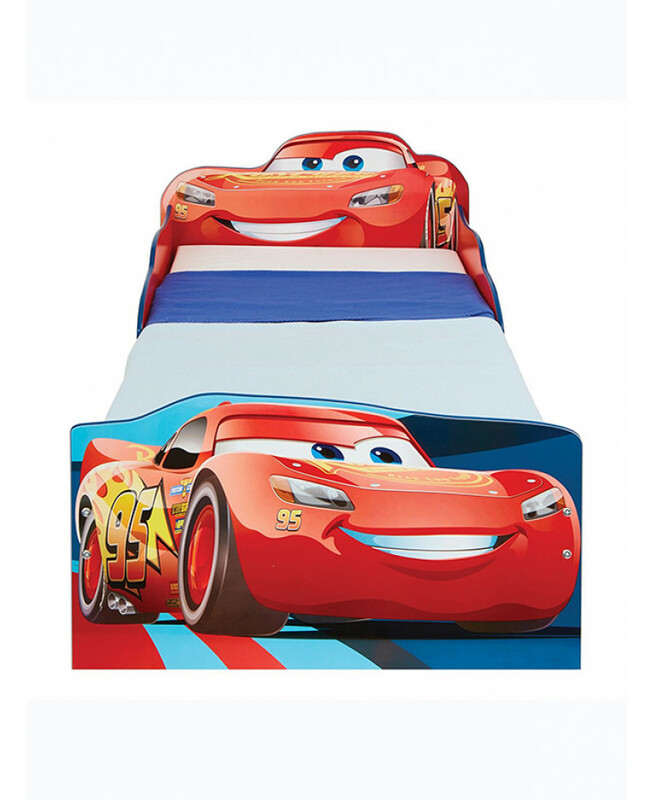 The Disney Cars Toddler Bed will have your little racer ready for bedtime with his favourite character by his side. 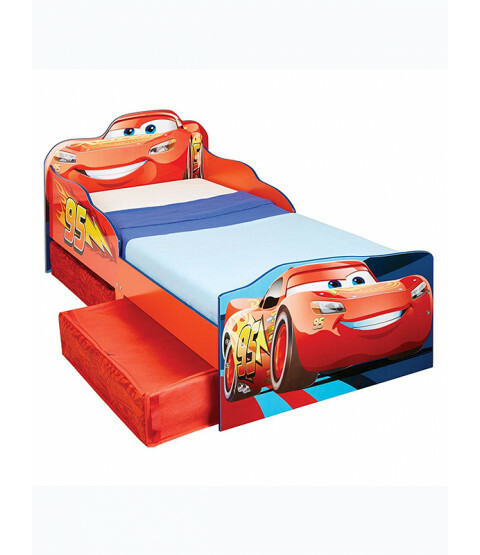 Each night Lightning McQueen wraps his arms around your little one and protects him from bedtime tumbles. The bed frame and slats make the bed sturdy and secure, while simple assembly fixing and components ensure a quick build. 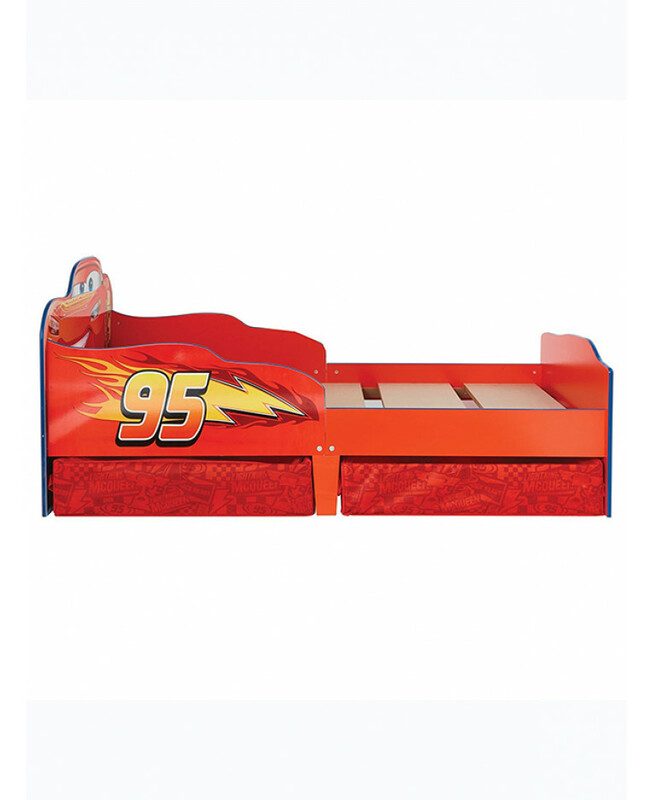 The toddler bed also comes with two handy under bed storage drawers, ideal for storing toys and clothes. 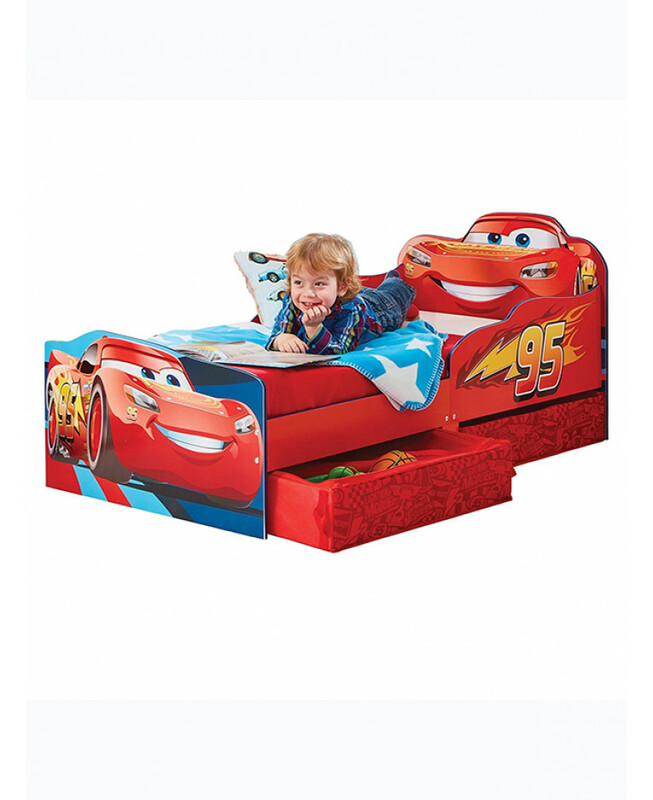 Part of the HelloHome Disney Cars kids’ bedroom furniture range, this toddler bed is great value and built to last. 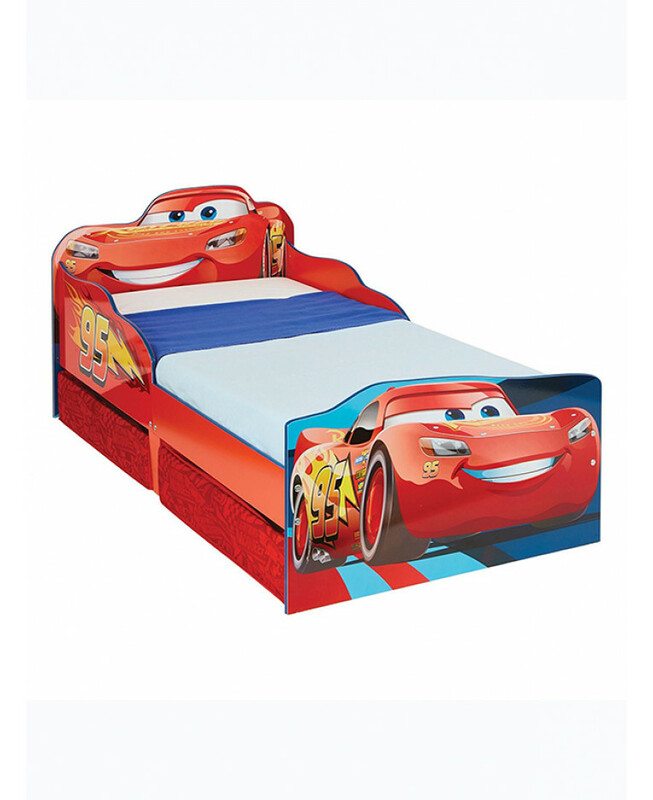 As the UK’s trusted number one producer of toddler beds, the creators Worlds Apart understands what kids want and need to create routine, making bedtimes easier all round.